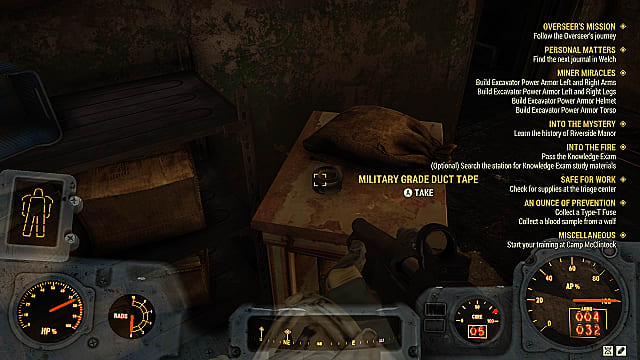 As you start gaining levels and crafting more armor in Fallout 76, you'll find that repairing some armor pieces requires ballistic fiber, even if those pieces didn't require ballistic fiber to craft. The problem is that ballistic fiber is very, very rare. 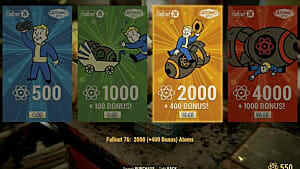 As more players get further into Fallout 76, they're uncovering more and more places to find the scarce material. However, discovery rates are still "abysmally" low. Below, we'll take a look at where you should be looking, including screenshots. Note: Cranberry Bog has the most locations. Ballistic fiber is often found by dismantling military items. As of now, the two primary items are military grade duct tape and the military ammo bag. 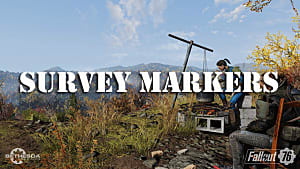 You can find these items in various places around the FO76 map. However, the best places to find them are military bases and installations. Here's a list of all of the military bases on the map. You begin in this region; head southeast from Vault 76 and cross the toward the Overseer's Camp. From the Overseer's Camp, continue due south, past New River Gorge Resort and across the railroad tracks beyond the resort, where you'll find Camp McClintock. Travel in the opposite direction, and you'll find Clancy Manor north of Vault 76 on the edge of The Forest. It will be north of Cobbleton Farm. It is just west of the Toxic Valley. The Savage Divide is in the northeastern section of the Fallout 76 map. 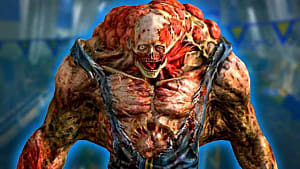 The Divide is full of Super Mutants and can be a dangerous area. From the Palace of the Winding Path, travel east to find the munitions factory. From Vault 94, travel north to find the factory. You can also find a fusion core here, alongside other crafting materials such as lead, aluminum, and silver. These two locations are essentially one and the same. Travel east of Vault 76 to the Savage Divide, just south of Monongah. You can get to this location from two different directions. If coming from Monongah, travel a great distance southeast, clear across the Savage Divide. If you're coming from Camp Venture in The Mire, head west, to the edge of the Savage Divide. You can find a fusion core in the basement here. 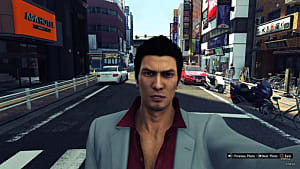 You can also get to this location from several directions. If coming from the National Radio Research Center, head southwest and cut through Huntersville. If you're coming from Cranberry Bog, the easiest way is to head due west of The Thorn, crossing over the mountains and Highway 107. Travel southeast from the Converted Munitions Factory into The Mire, a dangerous and swampy region of the Fallout 76 map. Hit Highway 66 south of Red Rocket Mega Stop and follow it east. You'll find Thunder Mountain Power Plant on the left side of the highway near a lake. You can also get to this location by heading slightly northeast from Monongah Power Plant. Cross the Savage Divide and pass Ella Ames' Bunker. At the southern edge of The Mire -- just north of Cranberry Bog -- you'll find Camp Venture, where you can find ballistic fiber, a power armor frame, and a minigun, among other items. If you travel southeast from Camp McClintock, you'll eventually come to Camp Venture after crossing over the Savage Divide. Alternatively, you can come from Thunder Mountain Power Plant by traveling southwest along Highway 65, venturing off the highway when it curves south of Sunday Brothers' Cabin. After you grab the ballistic fiber from Camp Venture, head southwest to Firebase Major. 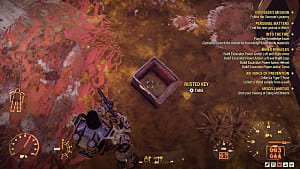 Since there is a rift nearby, be on the lookout for Scorchbeasts as you search the trenches for duct tape and ammo bags. This is a small area southwest of Firebase Major. It consists of two small military tents with a cooking station in the middle, two automated surface-to-air-missile pads, and two watchtowers. From Forward Station Alpha, travel south to The Thorn. This outpost is along the mountainous region separating the Savage Valley and Cranberry Bog. Be careful of scorchbeasts. 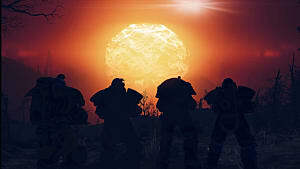 The former bastion of the Brotherhood of Steel, Fort Defiance is located in Cranberry Bog between The Thorn and Firebase Hancock. Simply travel a short distance southeast of The Thorn to find it. You'll naturally come to this location following the event Line in the Sand. This is where you will get your first Legendary. Finally, Firebase Hancock is in the southern-most region of Cranberry Bog, just on the eastern edge of the Savage Divide. Travel due south from Fort Defiance, and you'll stumble across this area. Travel southeast from Fort Defiance, crossing through Watoga Transit Hub and over some railroad tracks. Watoga Station is just below AMS Corporate Headquarters on the map. Alternatively, you can travel northeast from Firebase Hancock and bypass the areas listed above, making for a slightly safer journey. However, be wary of Protectrons, Assaultrons, and Scorched. Forward Station Delta and the military gear it has is located in the far southwestern corner of the map. You can find it just south of Glassed Cavern. 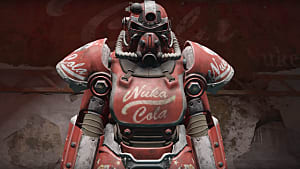 You can also find ballistic fiber from supply drops and (sometimes) scrapping Power Armor. However, the latter method isn't a viable option unless it is the last resort. Going to the locations above and looking for supply drops is more efficient. Know of any other locations that have ballistic fiber? 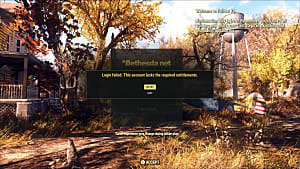 Are there other methods for getting it in Fallout 76? Let us know in the comments, and we'll add it to this guide crediting you with the find. 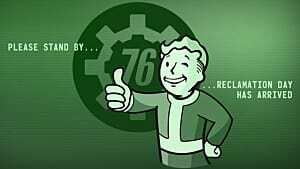 For more Fallout 76 tips and tricks, head over to our FO76 guides page.